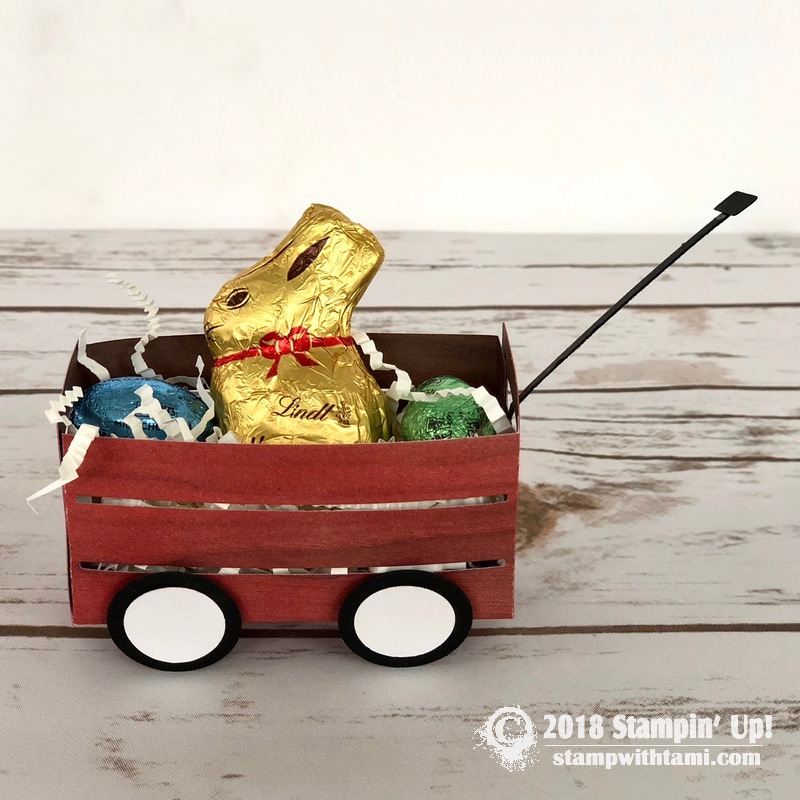 Welcome to my Stamp It Demonstrator’s Group Easter Theme Blog Hop. We’re all really excited to unveil our projects, and announce a new contest give-away (below). To continue on your journey through our projects, simply use the BLOG HOPPERS links below. 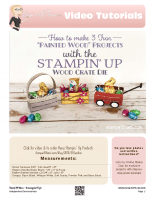 My projects are these 3 “painted wood” treat boxes which are fun for Easter, and for many other occasions as well. These are “outside the box” ideas featuring the Stampin Up Wood Crate die and colored Wood Textures designer paper. I created an Easter Basket Box, a Radio Flyer Wagon Box and Window Box. Each filled with Sweet Soiree Ready Shreddie and chocolate candy treats that I bought at Target. I’m kicking off this blog hop live on Facebook. I’ll be creating this fun gift set and giving away some bonus prize patrol for viewers. If you can’t make it live, this video replay will be on here on my blog, Facebook, Youtube and Vimeo, along with an “after live” group blog hop drawing (below). 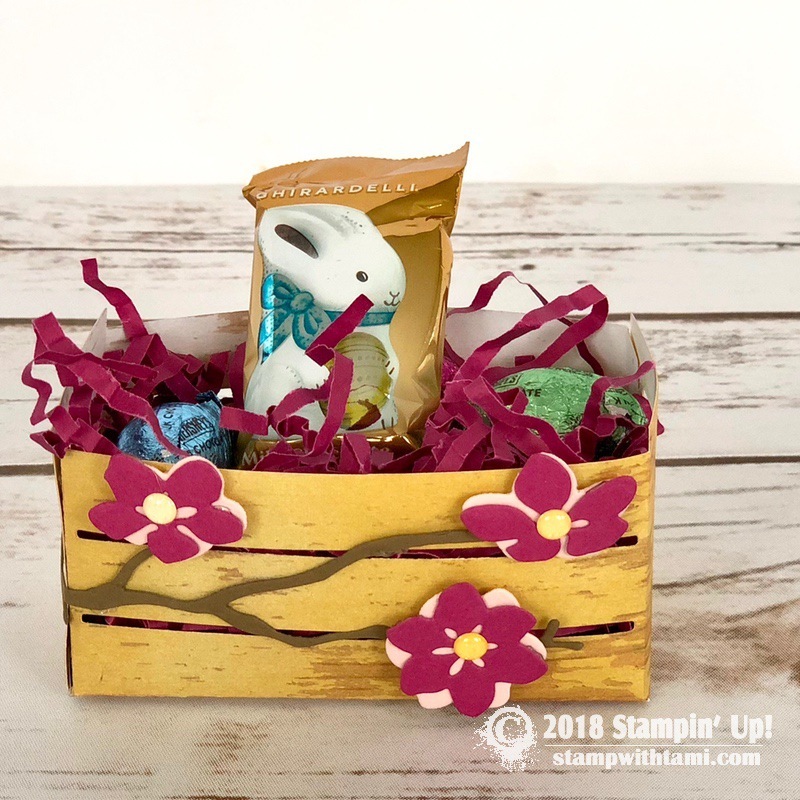 The stamp and die in this bundle combine to create darling mini crates that can be used to hold 3″ x 3″ cards or a host of little goodies. Stamps are designed to stamp over crate slats like an old time wood crate. Thanks for sharing these ideas. Love the wagon the best. Love, love, love the little red wagon. Thank you for such great ideas. On my own, I have a hard time coming up with creative ideas. Very cute idea for Easter and other holidays!! Great little boxes. I really love the wagon. #stampitcontest. Knew I would forget this. Again, these are so very cute, cute, cute. These are so very cute, cute, cute!!! #stampitcontest loved watching you live. I love this idea with the die. Thanks for sharing Tami. Love the little red wagon! Thanks for the wagon idea! I think I finally found the place to leave the #stampitcontest. At least now I know how often your blog changes. Or maybe it is just that I see something different every time I log in. I loved the blog hop video this morning. It was the first time I attended and it was fun! Hi Alice, my blog changes every day I add a new project. Check back daily for new inspiration. Wow! Thanks so much for the Lots of Happy Card Kit! I filled out your giveaway form. I hope I did it correctly! Love your little baskets! So cute !!! #stampitcontest.. These wagons are rock star! 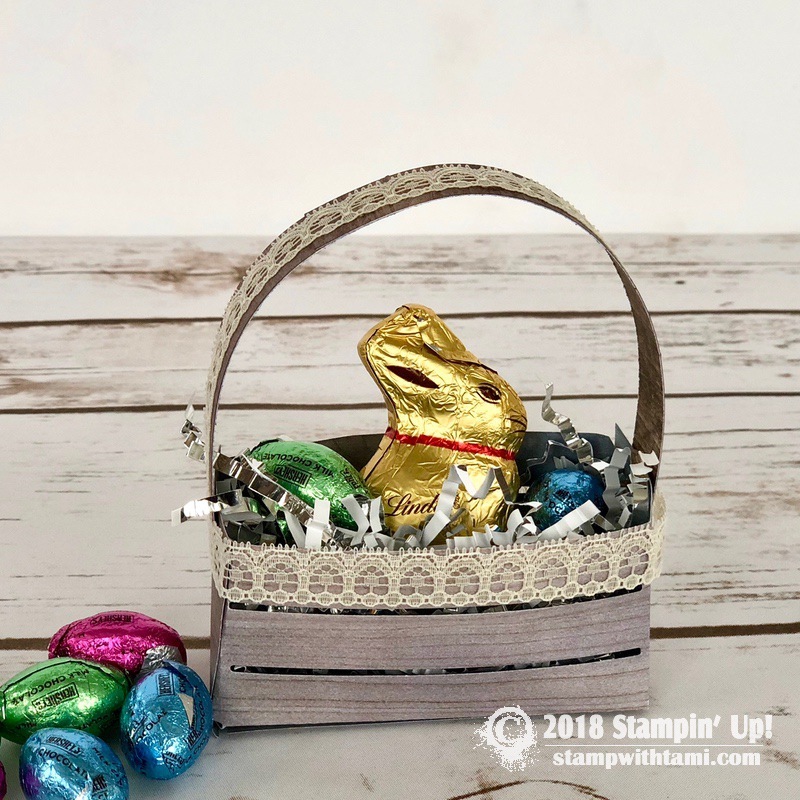 Super cute Easter projects with the crate set! That red wagon is super adorable! #stampitcontest The little red wagon is the BOMB! I love all your project ideas. Stamping up has amazing products. Tami – all 3 are adorable but I LOVE the wagon!!!! TFS and Happy Easter! 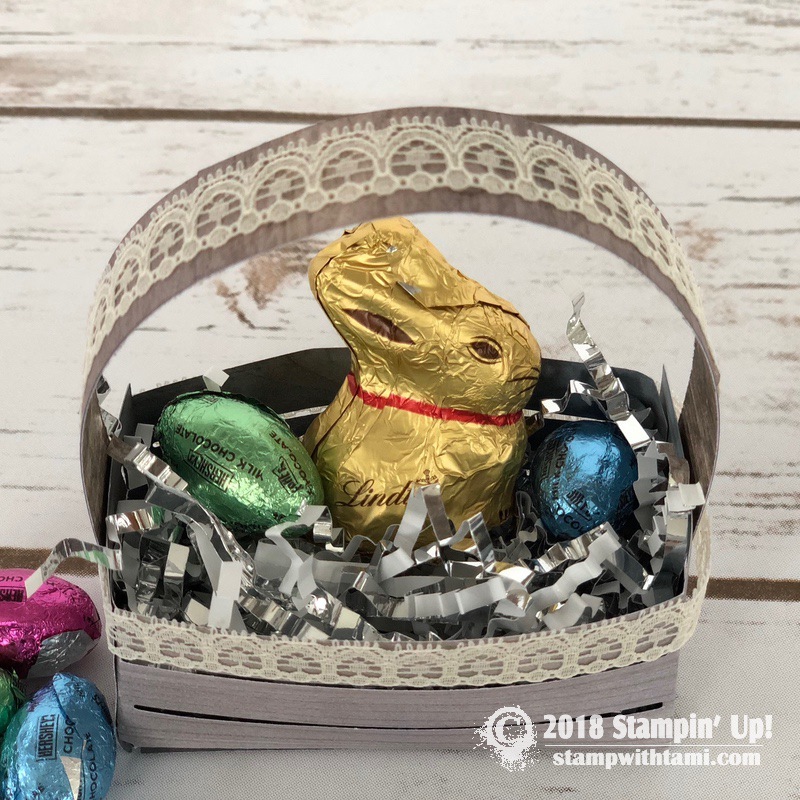 Cute little boxes with great ideas for Easter. I love the way you trimmed each of them, but the one with the floral branch is my favorite.